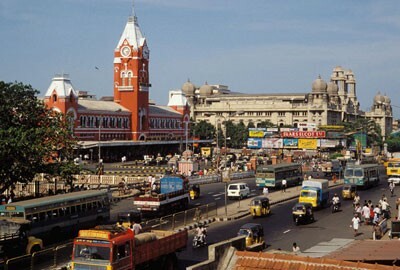 Chennai, with its mix of traditional and modern values, offers the best of both worlds. Located along the Coromandel Coast, off the Bay of Bengal, the city is one of the oldest port cities in India. Trade and commerce have existed here for centuries, but with the sudden change into a metropolitan city is mostly due to it becoming a prominent hub for software development and business process outsourcing. Not only that, it has also been regularly featured in top livable cities in India. The city has evolved, undoubtedly, in the last ten years, but under this change the city still holds to its age-old traditions in culture and values. This is the most fascinating thing of Chennai that makes it an attractive place apart from the opportunities it has to offer. No wonder it has been mentioned by Lonely Planet as one of the top ten cities in the world to visit in 2015. Currently ranked as the fourth largest economy in India, the city has become a magnet for professionals looking to take their career to a better level. Being the capital of Tamil Nadu, Chennai is also the administrative region of the state, with a number of important government offices here. So, there is no dearth of jobs opportunity in Chennai, whether it is the private sector or government sector. According to the monthly hiring activity report, Naukri JobSpeak by the prominent job portal naukri.com, the year-on-year hiring in Chennai has gone up by a huge 20% in August. This number speaks for itself about the growing opportunities in Chennai. According to the report, the maximum rise comparing all the industries is the banking sector. As, Chennai is known as the Banking Capital of India, there will obviously arise a great number of job opportunities in the near future. A large number of national and global financial institutions are present in Chennai, along with the headquarters of many. It also boasts a transaction volume servicing more than 900 million people all over the world through the back office operations. To name a few, prominent financial institutes like World Bank, Barclays and Deutsche Bank have their back offices in the city. These institutions are always looking for qualified professionals in the field of finance and commerce. But that is only the tip of the iceberg of opportunities that Chennai has to offer. The main two industries that make the huge chunk of the economy and employment opportunities in the city are IT/ITeS and automobile industry. Nicknamed as the “Detroit of India”, Chennai has 30% of India’s automobile market share and about 35% market share of the nation’s auto parts industry. You now know where to head if you are looking to get into the automotive industry. Some of the world-famous brands like BMW, Daimler and Ford have their manufacturing plants in Chennai. There are also R&D facilities of companies like Nissan, Caterpillar and BMW. In short, a whole lot of automotive job opportunities are there in Chennai. As mentioned earlier, the major economic driver is the IT industry, making it the second biggest IT/ITeS hub of the country. Since the late nineties a number of big software development and business outsourcing companies have established offices here in Chennai. Various new start-ups have also emerged and it has attracted other entrepreneurs to start their own venture. TIDEL Park, one of the largest software parks in India, employs more than 10,000 employees. With the expansion of the IT industry in the city, the rise in employment is sure to come. Chennai as the title says has become a ‘city of opportunities’, coming only behind Bangalore when it comes to IT and engineering. But that is not the whole story of the city. There are also numerous jobs in the government sector which adds icing to the cake of the city’s growing number of opportunities. You just have to keep yourself updated with the news related to these job openings. You can find them anywhere from job portals India in to public postings, including newspapers.